Art Bead Scene Blog: February Monthly Challenge Prizes and Sponsors! 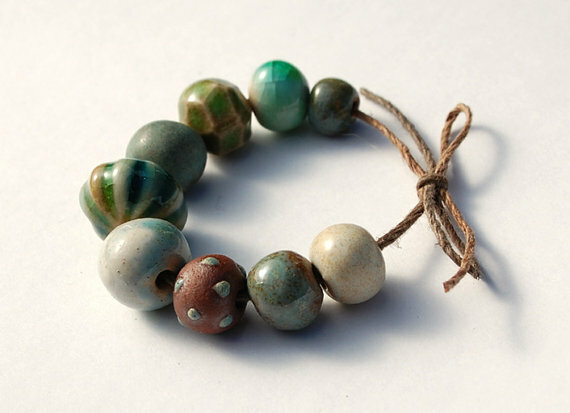 Gaea Cannaday of Gaea Handmade makes beautiful handmade beads, buttons, pendants, clasps and other jewelry components. She also creates beautiful one-of-a-kind jewelry. Gaea uses several different earth clays with her multitude of glazes to give you the custom look you need to create your own one-of-a-kind pieces. Gaea means Mother Earth or Goddess of the Earth which is very fitting for this Goddess of earth clays who molds earth. Gaea is donating a $50 gift certificate to be used in her Etsy Store. Visit Gaea at her website, blog, and Etsy. Marie-Noel Voyer-Cramp of Skye Jewels creates Ephemera for your designs. 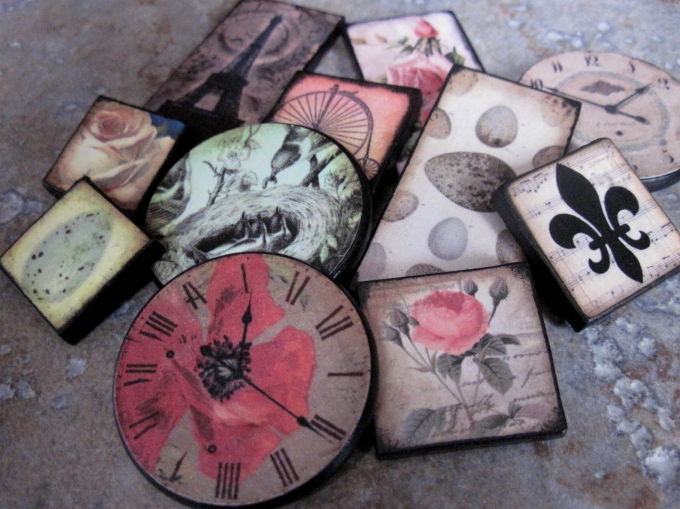 Her wonderful tiles are made from wood with a multitude of aged images. They are sealed and water resistant. The best part is that Marie-Noel will custom drill your tiles so it can be used as a pendant, connector, charm etc. Fantastic! Let's not forget she also designs beautiful jewelry for personal adornment. Go visit Skye Jewels and start designing your own custom piece. Skye Jewels is donating a $50 gift certificate to her etsy shop. Visit the Skye Jewels on Etsy, website, blog, Facebook, twitter, and other Etsy shop. The Conference of the Birds by Habiballah has with many different elements that can be used for inspiration birds, flowers, foliage, birds, water, earthy colors, nature and birds. Please remember to put FEB ABS in the title or tag of your submission(s). Two of my favorites! I'm crossing my fingers to win one of these! Oooh - what beautiful prizes this month! This month's piece, The Conference of the Birds is beautiful... I was not familiar with that piece of artwork. tWO GREAT and very TALENTED bead makers.